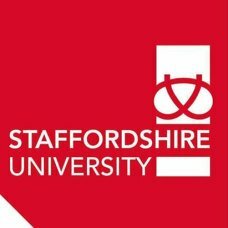 Digitally led and focused on graduate employability, Staffordshire University provides high-quality undergraduate education across a wide range of subject areas including computing, design, law, and business, engineering and healthcare. What’s more, if their current portfolio isn’t diverse enough, new, and industry relevant courses are launching every year, such as their new 2018/2019 eSports undergraduate course – the first of its kind in the UK. The institution prides itself on being The Connected University, connecting students with staff, business and career opportunities. They are commended for their teaching standards, achieving Silver in the Teaching Excellence Framework 2017, and they offer a variety of full-time, part-time and distance learning opportunities – meaning whatever a student’s commitments may be, there’s always a way to study for a better future. Graduate employability is at the forefront of the university’s objectives, and they have the figures to back it up too – with 97.5% of their June 2016 graduates in employment or further study within six months (DLHE 2017). All courses provide the opportunity for relevant work placement, and students can benefit from a vast network of professional connections from academic staff and alumni alike. The Stoke-on-Trent campus is constantly improving, with over £100m invested in facilities and new buildings in recent years. Plus, it’s in the heart of the UK, with the major cities of Birmingham, Liverpool and Manchester just a short train ride away. That’s not all; their healthcare students benefit from dedicated Centres of Excellence in both Shrewsbury and Stafford. So no matter where their work placements are based, they’re never too far away from high-quality teaching support. Facilities are up-to-date and industry relevant, and students get the chance to practice in professional environments such as the Staffs Newsroom, the dedicated Games Lab, and the Crime Scene House. There’s serious investment in the university’s future for students to take advantage of too, with a £10m Science Centre, updated learning areas in the brand-new Beacon Building and many more innovative additions to their campus. Staffordshire University boasts a vast range of accommodation options for their students to enjoy. They have over 1,200 rooms at their Stoke-on-Trent campus, and 50 near their Stafford Centre of Excellence. Surprisingly for their city locations, much of the accommodation opens out onto gardens, fields, or intimate courtyards. Outside space with built-in furniture, fairy lights, bean bags, pizza ovens, fire pits and electric points for music make it the perfect all year round space to enjoy. So, not only do students leave the university with new knowledge and skills, but they leave with professional connections and unique life experiences that make them ultra-employable in the real world.